At last, August is finally over and we've entered September, the seventh month of the calendar of Romulus, founder of Rome. It hasn't been the seventh month for over two thousand years, so when we say its name we're echoing language from the beginning of writing, when Homer is said to have captured his rhapsodic narratives about Troy and Ulysses. Anyway, it's getting cooler which will make Mudgap, New Mexico's desert-dwelling neighbors more pleasant to be around. 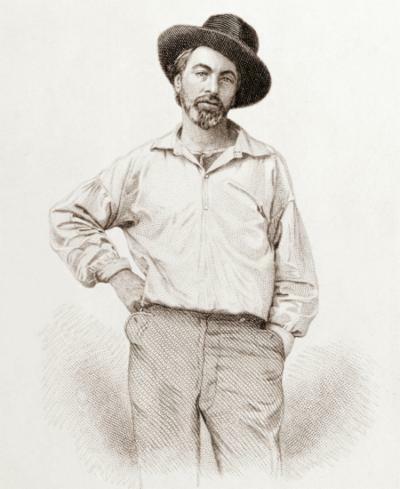 September is Walt Whitman month, according to the International Poetic Appreciation League. 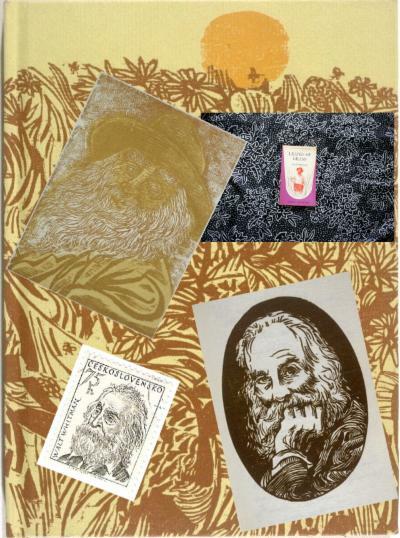 Whitman is best known for "Leaves of Grass," a collection of poems that evolved throughout the author's life. He hung around Washington during the Civil War. His notebooks give us not just a lyrical eye on the war and its victims, but a poet's view of the politics as well. 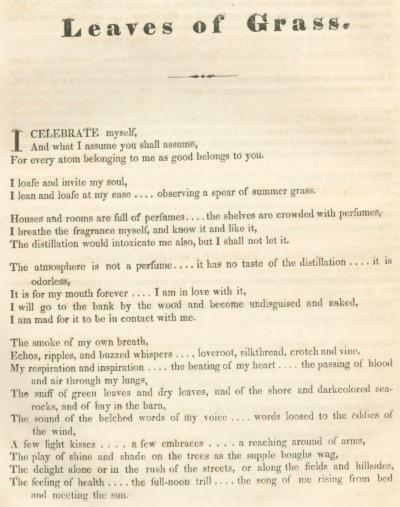 Here's a little Walt for today, the first poem in the original, 1855 publication, "Song of Myself." 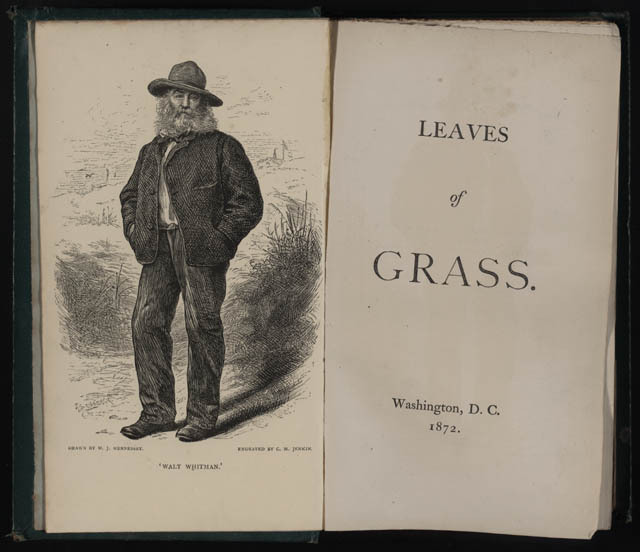 When Mudgap's Andy Lownde went to the newly named New Mexico State University in 1960, there was an elaborate Whitman display in the library, inspired by the centennial of the 1860 edition of "Leaves of Grass." There were timely reflections on the poet's significance including "The Evolution of Walt Whitman," by Roger Asselineau, and "The First White Aboriginal," by Karl Shapiro. Andy had heard of "Leaves of Grass," and attempted reading it with a Penguin edition from the campus bookstore. He failed but didn't surrender, and kept the book into old age. During a memory-rich autumn after his father died, he tried again. A developing kinship peaked with the lines that shivered his spine like a draft down a winter chimney. Whitman had been waiting for him. By Michael Hegeman. The Mystic Trumpeter has inspired several musical compositions from jazz to classical. 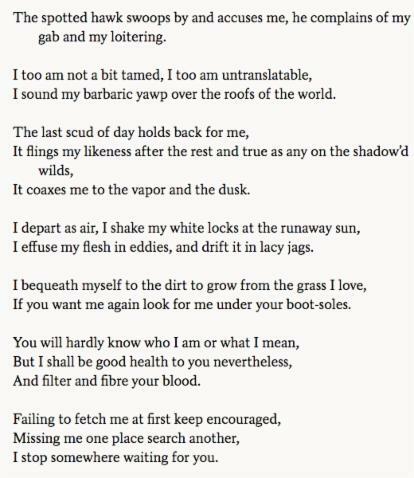 The International Poetic Appreciation League celebrates Whitman this month. He's best known for "Leaves of Grass," a collection of poems that evolved throughout the author's life. Today we have "The Mystic Trumpeter," featured at left. Whitman was of the nineteenth century, but for eternity. Some have always found him arrogant sounding. The unabashed self-reference upsets casual readers, but arrogance is not the right word. He wasn't aggrandizing just himself. The "I" of "Leaves of Grass" is the human spirit. We're taught to avoid talking too much about ourselves. Whitman plays on this nicety of social etiquette to goad us. He's speaking to the transcending grandness of our limitless identity. Whitman undertook "Leaves of Grass" after reading a challenge by Transcendental philosopher, Ralph Waldo Emerson, to create a truly American poetry. Emerson encouraged him after reading the first edition (see correspondence below). 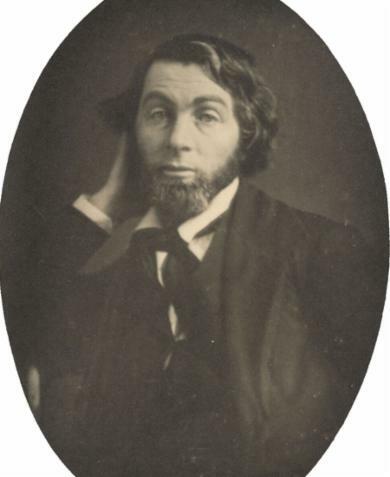 Walt Whitman was Lincoln’s harbinger, anticipating the need of him before he arrived. In 1856, a year after publishing “Leaves of Grass,” Whitman wrote about the politics of the day in “The Eighteenth Presidency!” It wasn’t his first or last excursion into presidential politics. 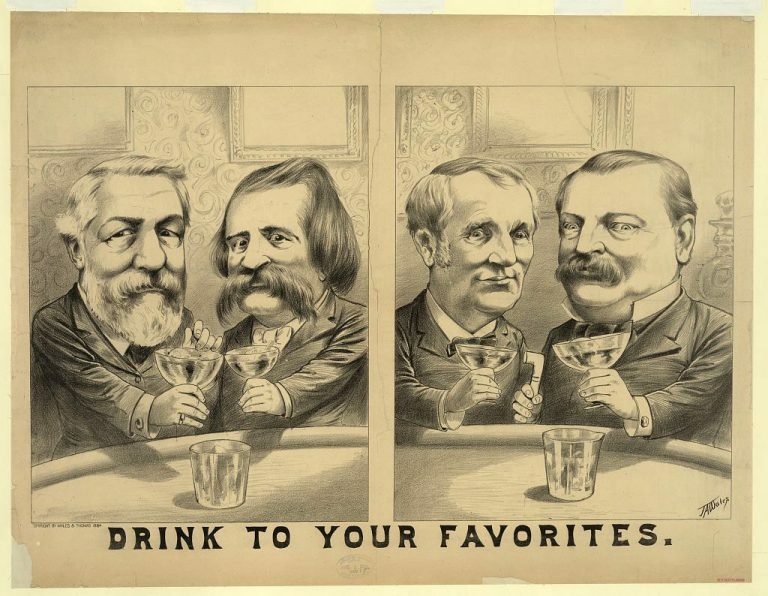 We should remember that politics, great orations, and other public spectacles were not as separated from popular entertainment as they are now. There was as much commotion about running the government in 1856 as there is today in the prospects of a college football team. Whitman had previously penned a defense of James K. Polk, but had lately begun despairing of the nation’s direction. 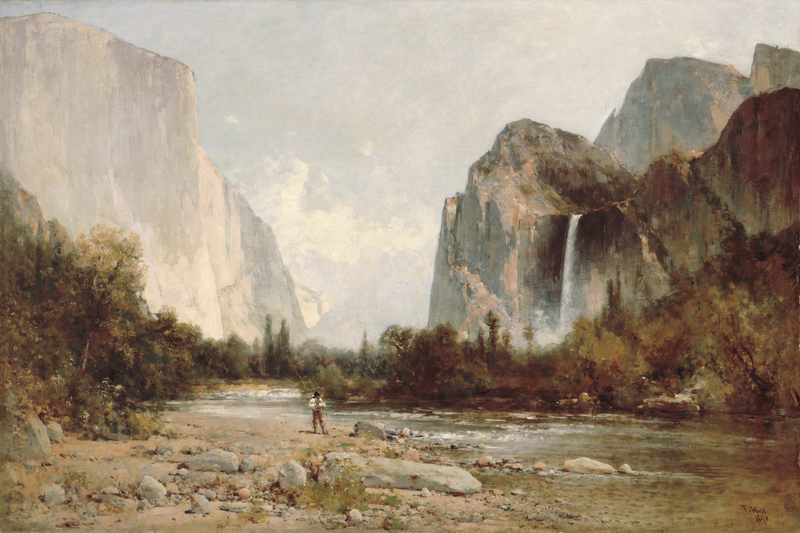 In 1856 he called for a “Redeemer President of These States,” to be found in “the real West, the log hut, the clearing, the woods, the prairie, the hillside….Some heroic, shrewd, fully-formed, healthy-bodied, middle-aged, beard-faced American blacksmith or boatman come down from the West across the Alleghenies, and walk into the Presidency, dressed in a clean suit of working attire, and with the tan all over his face, breast, and arms.” Remember, this is not a twenty-first century, hired scribe fashioning an image for a political hack. These are the words of a poet in tune with the soul of a nation, anticipating the spiritual direction of the Great American Experiment. There is a good case that Whitman came to see Lincoln as the embodiment of his “I” in the “Leaves of Grass,” the junction of his political and poetic muse. From his notebooks, published much later in his “Specimen Days,” Whitman left us the following impression. AUGUST 12, 1863 -- I see the president almost every day, as I happen to live where he passes to or from his lodgings out of town. He never sleeps at the White House during the hot season, but has quarters at a healthy location some three miles north of the city, the Soldiers' home, a United States military establishment. I saw him this morning about 8 1/2 coming in to business, riding on Vermont avenue, near L street. He always has a company of 24 or 30 cavaly, with sabres drawn and held upright over their shoulders. They say this guard was against his personal wish, but he let his counselors have their way. The party makes no great show in uniform or horses. Mr. Lincoln on the saddle generally rides a good-sized, easy-going gray horse, is dress'd, in plain black, somewhat rusty and dusty, wears a black stiff hat, and looks about as ordinary in attire, &c., as the commonest man. A lieutenant, with yellow straps, rides at his left, and following behind, two by two, come the cavalry men, in their yellow-striped jackets. They are generally going at a slow trot, as that is the pace set them by the one they wait upon. The sabres and accoutrements clank, and the entirely unornamental cortege as it trots toward Lafayette square arouses no sensation, only some curious stranger stops and gazes. I see very plainly Abraham Lincoln's dark brown face, with the deep-cut lines, the eyes, always to me with a deep latent sadness in the expression. We have got so that we exchange bows, and very cordial ones. Sometimes the president goes and comes in an open barouche. The cavalry always accompany him, with drawn sabres. Often I notice as he goes out evenings -- and sometimes in the morning, when he returns early -- he turns off and halts at the large and handsome residence of the Secretary of War, on K street, and holds conference there. If in his barouche, I can see from my window he does not alight, but sits in his vehicle, and Mr. Stanton comes out to attend him. Sometimes one of his sons, a boy of 10 or 12, accompanies him, riding at his right on a pony. Whitman was our poet-observer of the Civil War, America’s crux. He kept notebooks so we can see what he thought about things. Yes, his life-long practice of revising his writings questions whether we are reading what he thought, or what he wished he’d thought. Often he mentions, maybe argues against, this uncertainty, but in any case his latest revisions are now over a hundred years closer to the events than we are today. His poetry and notebooks tell us what he thought of Lincoln. What about others? Of Lincoln’s second general (after Winfield Scott), and Lincoln’s opponent in the 1864 election, George McClellan, Whitman had this to say. “It would take a great deal to persuade me from my conviction—my old conviction, born at the time and never by any later developments shaken—my old conviction that McClellan straddled. I was on the spot at the time—in the midst of all the controversy, the suspicion, the tension, and the patriotism; and from it all, fairly and sternly, I drew my estimate of McClellan. In his collection of the notebooks for “Walt Whitman’s Civil War” Walter Lowenfels closes his chapter on “Of the Corps and Generals” from which these quotes come, with a poem that progressed into the “Leaves of Grass,” there titled “The Artilleryman’s Vision.” At one level it is a lyrical recollection of the war by a veteran. 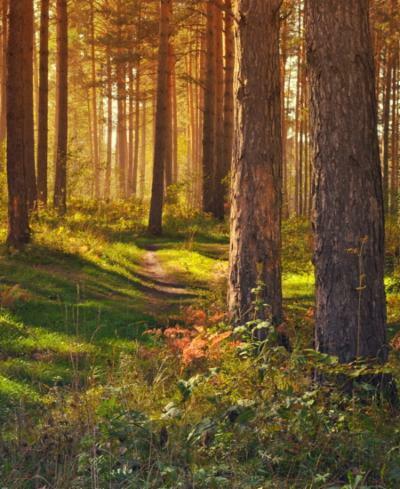 Its multi-layered reflections on adventure, triumph, melancholy and survival make it a fitting place to stop this post. A reading, less unctuous than some, of "The Artilleryman's Vision." Today let's jump back to September and revisit International Walt Whitman Month by considering a poem Whitman wrote after the 1884 election. 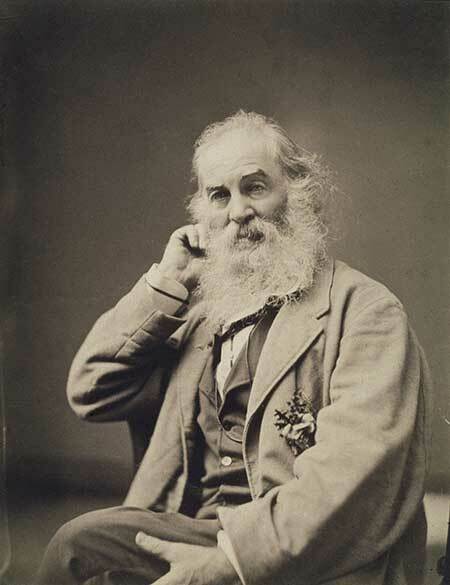 Partisans of the era made it a contest between a deviant and a crook, and Whitman treated the choice with symphonious artistry. If it seems overwrought to expend all that creative energy on politicians who don't even register on our twenty-first century anxieties, well, maybe that's the point. Whitman told us he would go on ahead, and wait for us someplace. Maybe we've caught up with him. Yes, in the quaint political ethos of 1884, the supposed deviant had merely fathered a child out of wedlock, while the crook had merely arranged to receive a bribe in a letter that ended with the words, "Kindly burn this letter." The deviant confessed to his weakness, and said, anyway, he wasn't sure he was the father. The "Burn This," letter disappeared, although other letters reappeared during the campaign that contradicted previous statements, and so on, and so on. It was a mess, particularly for a sensitive soul like Whitman, who despaired of the calumny heaped on the party of his beloved Lincoln. Here's how he came to terms with it all. 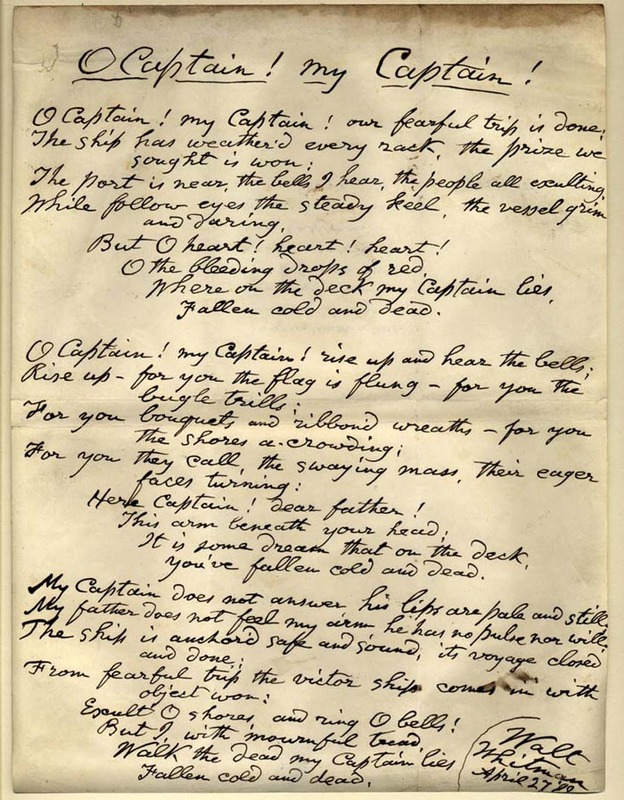 The poem links to analysis offered by the Walt Whitman Quarterly Review. 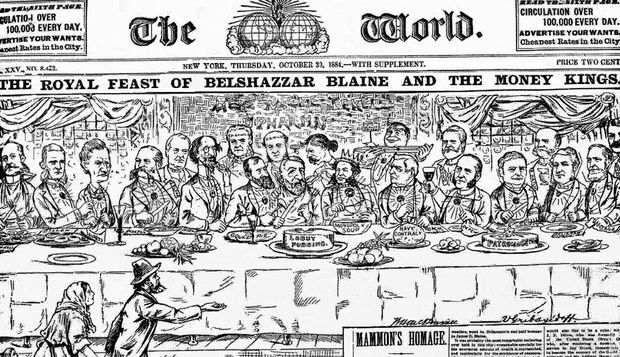 Our twenty-first century problems are more fraught than those démodé trifles of 1884, you say? Think harder. The nation was twenty years from a near-death experience. The unrepentant secessionists were ascendant, and hell-bent on restoring a version of slavery. One of THEM had just gotten into the White House. Was it the End Times? Whitman's concerns are understandable to any age. His lyrical ruminations are pertinent to ours. The choosing elevates above the choice, and the energy of Democracy powers hope. 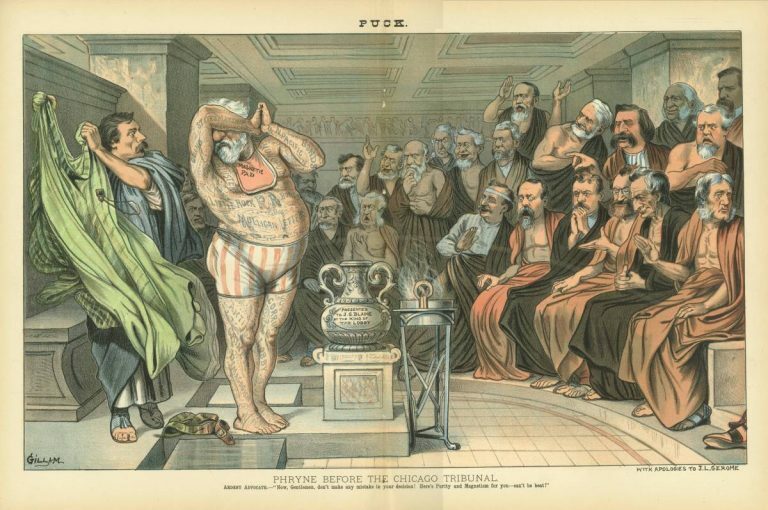 A video about the 1884, and subsequent, Elections.